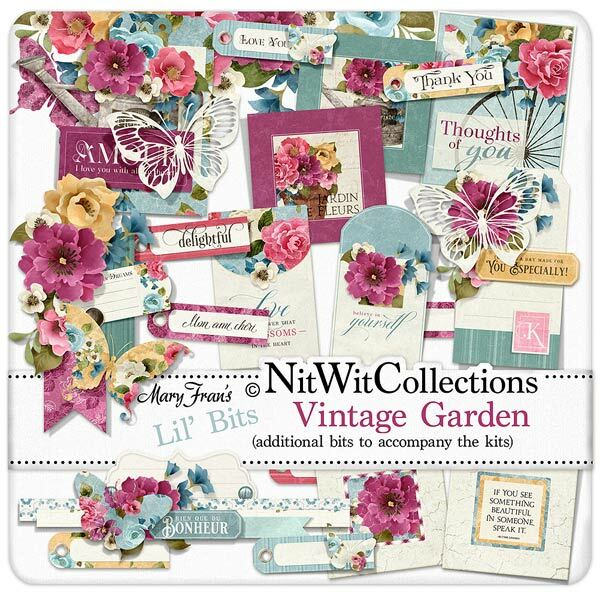 Lil' Bits "Vintage Garden" brings you so many well designed finished digital elements to give your scrapbook layouts, mini albums and cards beauty and grace! Use these elements as your starting point and add in your background papers and other embellishments to quickly create and achieve unbelievable results! Don't miss out on these digital elements as they are not included in the FQB "Vintage Garden" Collection so please don't miss out on owning and creating with these elements! 1 Label - "Love is a Flower that...."
1 Vintage crackle finished frame - "If You See Something Beautiful...."